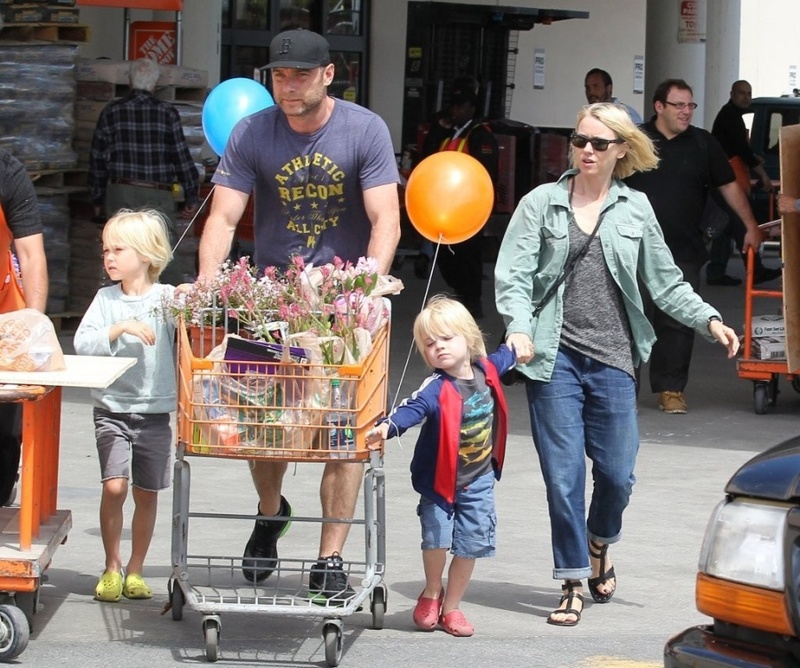 Naomi Watts, hubby Liev Schreiber and their boys Alexander and Samuel run errands in Los Angeles – beautiful family! Naomi was wearing the Goldsign “HisJean” boyfriend jeans in Iris. Honestly, I don’t really like the way she has paired them with the frumpy oversized tops, like a baggy jacket and t-shirt. And the flat sandals certainly don’t make the outfit look more charming. Oh well, sometimes don’t we all just have to opt for comfy instead of chic lol!